Find recipes and resources on why juicing is so beneficial. We love juicing because we know the health benefits are incredible. Food-based sources of abundant and easy to absorb and use vitamins, minerals, enzymes, phytochemicals and chlorophyll can be found in vegetable juices. Juicing essentially masticates or chews fruit and vegetables for you, making even difficult to access nutrients available and making it easy for the body, even in times of illness or a weakened digestive system, to gain access to high nutrient levels, with minimal strain on the system. Juicing allows you to drink high nutrient, low calorie, maximum goodness in liquid form, in much higher volumes that it is generally possible or practical to eat. The best source of live plant chemicals and enzymes to aid digestion, absorption and metabolic processes in the body. Juiced vegetables, especially greens, give your body the essential alkaline nutrients it needs to balance your pH level and keep your body in optimum health. By alkalising your pH level, juiced vegetables ensure proper oxygen supply into your cells and proper waste and carbon dioxide transport out of your cells to ensure your mind is clear and your body is energized. An excellent source of mineral rich and alkaline hydration. By ensuring a balanced pH, proper oxygen and nutrient supply, and proper carbon dioxide and waste product removal is able to take place. This allows the body’s defences and cellular processes to function as optimally as possible to cleanse, heal and repair the body. Vegetable juice is high in antioxidants to strengthen the immune system and prevent aging. Every day that one doesn’t juice the aging process takes hold. Nutrients, minerals and chlorophyll in vegetable juices calm the digestive nervous system and digestive hormonal system and minimize stress in the body. 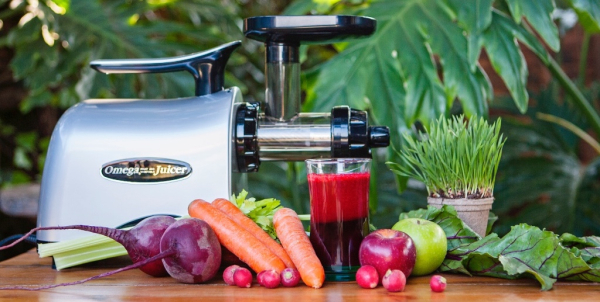 A Cold Press Juicer is a complete departure from the standard centrifugal juicing method. The Cold Press Technology System allows the DNA Juicer to extract the maximum amount of nutrients, vitamins, taste and juice from a minimum amount of fruits, vegetables, leafy greens and even soybeans. 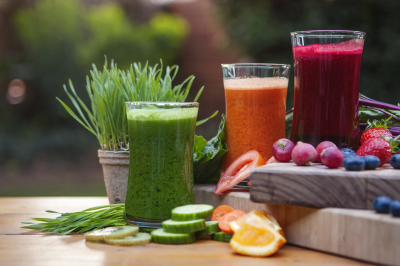 The Cold Press Juicing Technology uses a dual-stage crushing and then pressing action to minimise bruising and oxidation, therefore retaining up to 95% of Vitamins, Minerals and Live Enzymes and maximising juice yield. A Centrifugal Juicer on the other hand, extracts juice via a high-speed cutting action that results in bruising, heat through friction and accelerated oxidation. The result is juice that is deficient in vitamins, minerals and live enzymes and juice wastage due to very wet pulp. – juice is extracted through the first crushing stage and before the pulp is ejected, it is then squeezed during the second pressing stage; resulting in more juice, and extremely dry pulp. – Get the greatest amount of juice from the least amount of fruits. Peels and skins can be also used in various pastries, jams, soups, etc. – Enjoy more antioxidants, better flavor and superior freshness of your juice. No frothing or foaming, and none of the separation that occurs with other juicers. – Simply pour water through to clean the juicer when changing to another fruit, vegetable or leafy green. Save time!